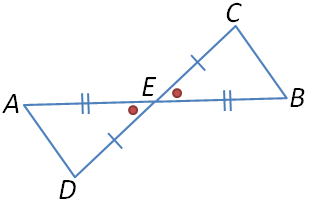 This is the second part on a series of posts on worked proofs in Triangle Congruence. In this post, we prove another problem. Given: and bisect each other at . and by definition of bisector. because vertical angles are congruent. 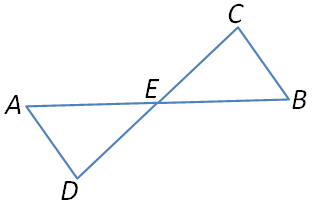 Therefore, since corresponding sides of congruent triangles are congruent.